Welcome to The Meticulous Organisation, the website of Mat Heighway. We hope you enjoy the new website. Lots of new content, including flight case hire, biog info, links, shows, music, photos, videos etc. is being added, and you can still access the information that was available on the old version of the site. 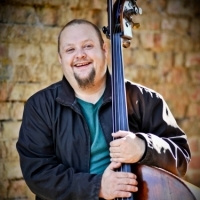 Mat Heighway is a professional double bassist and bass guitarist. He also sings (tenor), plays keyboards and percussion, acts, teaches, builds websites and hires out double bass flight cases, amongst other things. Mat has performed in more than twenty Royal Shakespeare Company productions since 2004, and appears both as a bassist and as a singer on several RSC CDs. He has toured with west-end musicals, orchestras and choirs in the UK, Ireland, France, Switzerland, Poland, The Czech Republic, Greece and Italy. He currently plays with London-based acoustic/roots/folk/Americana band Pig Earth, Oxfordshire-based blues/jazz/funk/ska/reggae trio Danny and the Bare Bones, and London-based ensemble The SPiKE Orchestra. As a singer Mat has performed throughout the UK and parts of europe, has recorded for CDs, BBC Radio and Classic FM, and appears as a backing vocalist on Frances Ruffelle's 2010 album, Imperfectly Me. Read more about Mat here. 2/3 double bass flight cases are currently available for hire. For more details, contact Mat.